We are all exposed to a large variety of infectious agents that would cause pathological damage if left unchecked. In majority of normal individuals, these infections are of limited duration and leave little damage because of the human defense mechanisms in the form of the immune system. 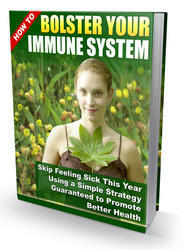 The human immune system has two major functional divisions—the innate and adaptive systems. Both act in concert, with innate immunity forming the first line of defense. Breaching of innate defenses leads to activation of the adaptive system. The two key features of the adaptive system are specificity and memory. The function of the adaptive immune system is to recognize an antigen and mount an immune response to eliminate it. Generally speaking, there are two major types of immune responses—those against intracellular pathogens and those against extracellular microorganisms. The intracellular antigens, presented at the surface of the cells of the body are recognized by T lymphocytes and this was previously termed cell-mediated immunity. The extracellular antigens are recognized by antibodies produced by B lymphocytes, a process previously termed humoral immunity. Another important distinction between the two arms of the immune system is that antibodies generally recognize intact antigens while T cells recognize antigen fragments presented to them with molecules encoded by the major histocompatibility complex. The human major histocompatibility complex is known as the human leucocyte antigen locus and is located on chromosome 6. There are four main blocks of genes on this locus—I, II, III, and IV. 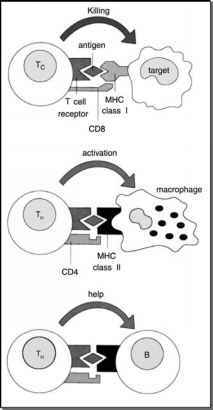 FIGURE 1 ■ Interactions of Tc and Th lymphocytes. Abbreviations: MHC, major histo-compatability complex; Tc, T cytotoxic cells, TR,Thelper cells. Source: From Ref. 5. FIGURE2 ■ Professor Elie Metchnikoff-Nobel Laureate who described phagocytosis as an immune defense mechanism. receptor (7). There are 45 functional antigen recognition genes in the human beta T-cell receptor and it is possible to create arrays that interrogate the expression patterns of each of these genes during T-cell development. The expression of these genes can be studied to determine which kinds of T cells are triggered in response to surgical injury. In addition, polymorphonuclear leukocytes or neutrophils and macrophages primarily phagocytose antigens for intracellular destruction in their lysosomes. The word phagocytosis or the ability to engulf microorganisms was coined by the Russian Nobel laureate, Elie Metchnikoff in 1883 (Fig. 2). 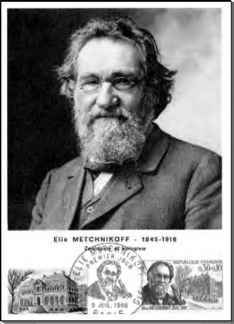 Metchnikoff thought polymorphonuclears to be "microphages" as opposed to the larger "macrophages." We owe our understanding of this arm of the immune system to Metchnikoff's vision. The overall immune response to surgical trauma is summarized in Figure 3. 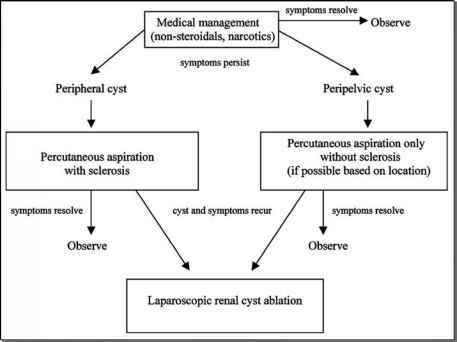 Laparoscopic surgery causes less tissue trauma than open surgery and is likely to be associated with better preservation of systemic immune function and contribute to quicker recovery.